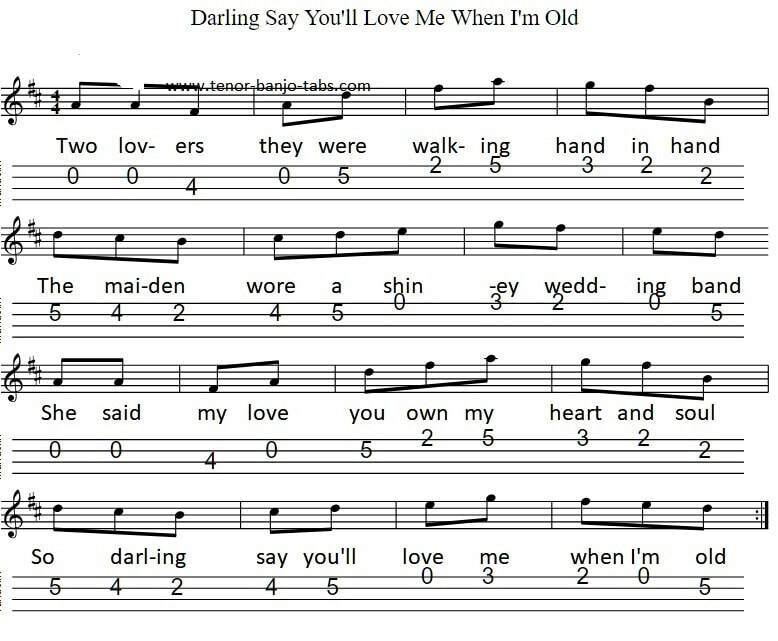 The banjo / mandolin tab is in the key of D Major. There are basically only two lines to remember then it repeats itself. The chorus uses the same notes as the verses.